Lotlot De Leon - Miss Philippinees! 4 na ang Lotlot De Leon natin... Si Shareefa lang ang titleholder so far..
Shareefa Akeel - Miss Asia Pacific International winner. Very resilient girl, humble and determined. Michelle Gumabao - Miss Globe top 15. Look a little bit out of shape. I don't think she is fit for pageantry. She has one video when she spoke about the Filipino language being close to Spanish. I think she needs to do her research more because this is basic information. Ang wikang Pilipino ay malayo sa wikang Espanyol. Mas malapit ito sa wikang Bahasa ng Indonesia. Celeste Cortesi - Miss Earth top 8 - She felt the pressure during the interview. She knows at the back of her mind that it's a long shot for her to win. Credit for rising up to the challenge and for being consistent all through out the competition. Alyssa Alvarez - Reina Hispanoamericana - Unplaced - unprepared not her fault but I guess her organization. I hope she tries another pageant. She has a lot of potential. Jezha Huelar - Miss Supranational. same level with Patalinjug. but who knows, her contest is looking more on model type queens. 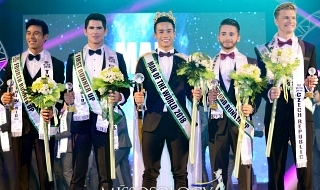 Katarina Rodriguez - Miss World - hirap pulitika dito besh.. tapos China pa ang venue.. never tayo umalagwa sa Chinese soil. Catriona Gray - Miss Universe. hindi pa tested ang IMG sa returning countries to win. Julieane Fernandez - Miss Tourism International. Although kakapanalo lang ni Alipo-on pero mas maganda kesa sa last years winner.. Palaban ang mga mutya girls. Karen Gallman - Miss Intercontinental. In all honesty I think this girl will clap in home soil. watch nyo ang mga interviews nya... Lalo na yung kay Boy Abunda. Kimilei Mugford - Miss Multinational - lakas ng laban ni girl.. kaso winner tayo last year and this is just the second year of this contest so I dont think they will crown a girl from the same country. Maureen Montagne - Eco International - the last girl to compete, same sentiments with Multinational. winner is from last year and I dont think they will do a back-to-back anytime soon. Strong contender though. Last edited by uzumaki on Fri Nov 09, 2018 11:50 am, edited 4 times in total. Re: Lotlot De Leon - Miss Philippinees! Its sad. We have really good competitive girls but went on to join minor pageants disabling them to rejoin for bigger titles. Hindi pa katapusan ng Pilipinas sa pageant. This thread has a lot of negativity. It's not every year we win, sometimes we settle for runner up/semifinalist or even not win a crown. And speaking of politics in Miss World, baka nakakalimutan mo we're the host of Mr World this year, so I guess Katarina has already an edge. I'm supporting all contestants this year kahit Miss Earth and Miss Universe lang ang finafollow ko religiously. Hindi man lang ako na tinga . Hindi naman mga deserving na manalo sina Gumabao , Patalinjug and company. 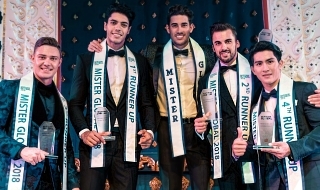 They were not the front runners in their respective pageants. Tsaka mga minor pageants . And they are not diosas . Si Kata ... ala lang . 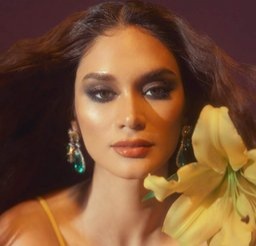 Regarding competing at Reina Hispanoamericana, I hope that Arnold Vegafria will just look for and assign a Filipina who can speak Spanish to be our representative in future years. Not only as a respect to the organizers (showing them that we care) but also to not make our candidate feel out of place during the competition. I think we got lucky that our first rep was such a confident, well prepared, and real fighter to win that first crown. But I think it's awkward and weird to be the only non-Spanish speaker in that contest where you're the only one who has to address the crowd, judges, and most competitors in non-Spanish. kaya girls, go and learn spanish na! Pabaunan nalang yung shundedet natin ng maraming Spanish sardines from the Philippines at ibigay sa organizers baka mag place ulit tayo, cherreeettt.. Ate girl gusto mo title tayo sa lahat ng pageants? Michele & Celeste made the semis naman so okay na yun. And please yung naguumapaw sa personality ang laki ng difference ni Winwyn at Alyssa sa department na yan, at lets not forget the body department. Nagblend lang si Alyssa sa crown ng latinas to the extent na hindi na siya napapansin. Hindi naman kasi araw araw Pasko. Saka no offense pero yung mga organizations syempre pipili na rin from other countries. Ayoko sanang sabihin pero medyo nagpe-peak na rin ang Pilipinas sa pageants. Ang timpla kasi ng mga candidates sa Pilipinas ngayon ay medyo pare-pareho na lang na either Pinay na super rehearsed (Patalinjug, Tugonon, Gumabao template) o half-Pinay na parang napadaan lang sa Pilipinas na nagsusumiksik sa hometown kuno (Clenci, Schmidt, Kleiner) para maging legit na Pinay contender. Completely agree..but does anyone speak Spanish in the Philippines anymore? Di naman palagi every year may nanalo, that's unrealistic. Be happy may placements. I don't mind na hindi titleholder every year, but at the rate we're competing and given the caliber of our contestants, we should have no lower than semifinalist placements at every pageant. 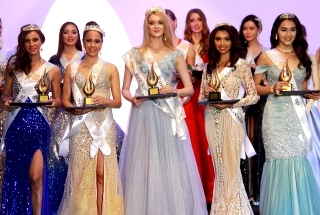 uzumaki wrote: 4 na ang Lotlot De Leon natin... Si Shareefa lang ang titleholder so far..
Ahtisa Manalo - Miss International... kakapanalo lang natin eh saka ang daming umaawrang ala japanese sa mga candidates this year. Sweet sweetan lahat ang peg... mga pa virgin.. chereet!. But she is making her presence felt. She is very strategic. i don't know if you guys notice that. But she knows when its time to shine. so totoo lang, may pagka-nega ka. kaka demoralize ang ganyang mentality. Paquita Banana wrote: Ala naman . OY VEY! 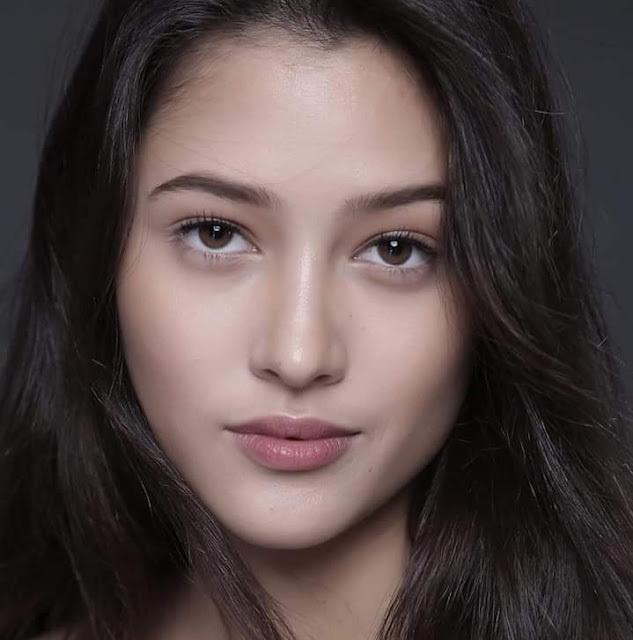 I DONT KNOW WHAT EVERYONE SEES IN KATARINA.. SHE WILL BE IGNORED IN MISS WORLD.. HINDI TALAGA SYA MAGANDA. COMMONANG FACE.. VER GENERIC.. A LOT OF WAITRESSES IN MCDONALDS LOOK LIKE HER IN LOS ANGELES.. The exotic Aya Abesamis sana ang ipinadala.. She would definitely be Julia's instant favorite !!! May 2nd MW crown sana tayo..
wapakels si Katarina sa winning ni Karen Gallman. Deadma sa IG. iba ang bagong post. Pero I feel her para syang pinagsakluban ng lupa. Olats na sa Miss World tapos na ungusan pa sa Miss Intercontinental. Mas marami pang exposure yung ibang contemporaries nya kesa sa kanya. The Philippines is now celebrating Karen's win. I hope that Katarina is really ok.
uzumaki wrote: wapakels si Katarina sa winning ni Karen Gallman. Deadma sa IG. iba ang bagong post. Pero I feel her para syang pinagsakluban ng lupa. Olats na sa Miss World tapos na ungusan pa sa Miss Intercontinental. Mas marami pang exposure yung ibang contemporaries nya kesa sa kanya. The Philippines is now celebrating Karen's win. I hope that Katarina is really ok.
malay mo nag dm si kat kay karen.. u know some of us hilig mag bully, ginagawang kasiyahan ang kalungkutan ng iba.